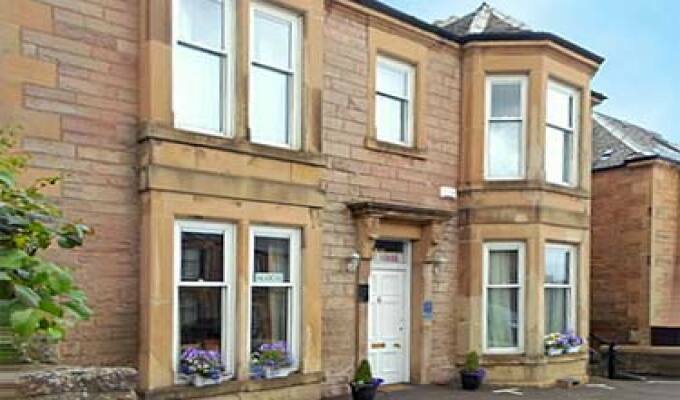 We are a Three Stars Gold award wining bed and breakfast accommodation, only 15 minutes by bus from the centre of Edinburgh. Free private off street parking is available for visitors traveling by car or motorbike. Along with you room key we provide a front door key, so you have access all day & night. We have a total of six bedrooms in our detached house, with different types to suit either Family groups or couples. Each decorated to a modern standard and provides a relaxing atmosphere. All our rooms have en-suites with shower facilities. They also have colour TV, tea/coffee making facilities and homemade treats. WiFi is free in all rooms. Breakfast is a traditional Scottish one, which includes Haggis. We have some beautiful views from the bedrooms towards landmarks such as Arthur's Seat, The Royal Observatory. The Braid Hills and The Hermitage of Braid are just five minutes from our guest house with some beautiful scenery and some lovely walks.